Thanks to Nusantara Ederan Filem eCentral have tickets to a special screening of Chernobyl Diaries. To score a pair, just print out eCentral's Chernobyl Dieries page and exchange it for a pair of tickets at eCentral redemption counter. See details below. This redemption is open to all eCentral fans. Print out the contest page and redeem it at the venue given in this article. Each page entitles you to two movie tickets only. Each person is allowed to redeem only once. Tickets are given out on a first come, first served basis. Queue-jumping and reserving places in line during the redemption are strictly prohibited. The organizers reserve the right to refuse tickets to anyone found doing so. Movie ratings will strictly apply for this movie. Please refer to your ticket or your daily newspaper for ratings. The organizers reserve the right to refuse entry to the cinema hall to those not within the permitted age limit. No exceptions will be made at any time for any reason. I hereby expressly consent to the collection, collation, use and/or disclosure of all my personal data by Star Publications (M) Berhad for the purposes of the Chernobyl Diaries contest. 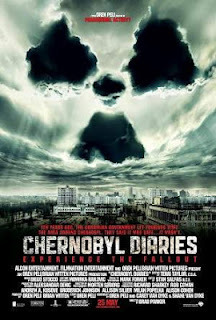 Click here for more trailers, pictures, sypnosis etc about Chernobyl Diaries 2012 via EventsNonStop.